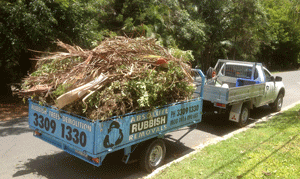 Absolute Rubbish Removals specialises in small scale demolition, and domestic demolition. With 21 years experience, we strive to achieve the best results for our clients, and ensuring all demolitions are completed in a safe manner and all sites left clean and tidy. Our focus on being environmentally friendly follows through with our practice, by maximising our recycling, and minimising our waste. Our small demolition and domestic demolition packages include an initial inspection, a free comprehensive quote, executing the small demolition works by following Workplace Health and Safety Guidelines, disposing of the waste and site clean ups. We are considerate of your neighbours, and do our best to minimise disturbances. We are fully insured and are proud to have operated 21 years, incident free! We offer 100% client satisfaction, and a free consultation and advice service unparalleled to our competitors. Our services to demolish and prepare sites are utilised by numerous Brisbane-based builders and contractors due to our assurance of a safe, fast & clean job site.